Light Up La Grange 2018 Was A Success!!! Thanks to all who came out for a wonderful evening! The weather may be unsettled, but we will have all the festivities, a lot of them indoors. Parking will close at 4, but we will have the bus running to help you get around. Start the fun Friday night at Southeast Christian Church for "family movie night" . Enjoy has family friendly holiday movie, with hot drinks and candy. The event is free! Doors open at 6 pm and the movie starts at 6:30. Come in your pajamas and enjoy! 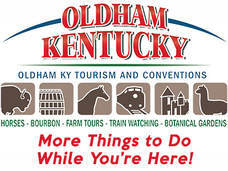 Children’s Workshop: 1-3 at the Oldham County History Center in the Rob Morris Educational Building Children can make their own ornaments. $5 per child. 1 – 3 p.m.
Railroad Museum: 3-9; free, tour dining cars and train displays. Candy Cane Making with Just Be Claus 3:30-9:00 at CityPlace; break for Santa from 5:30-6:40; free, but would encourage $1 donation. Reindeer Food Making: 3:00-6:00 on Courthouse Lawn; free. Cookie Decorating: 3:00-6:00 at the Community Center; free. Spaghetti Dinner 5:00-8:00 at La Grange Christian Church includes; Spaghetti, Salad, Drink & Dessert. $8.00 Adults, $5.00 Kids, Children 3 & under free. Youth fundraiser. Live Nativity located at Dairy Queen, By Grace Baptist Church. Entertainment: Singing, Music & Dancing. Santa’s arrival to LIGHT UP La Grange on decorated fire trucks at 6:00 p.m.
Meet Santa & Mrs. Claus: 6:30-9:00 at the Gazebo on the Courthouse lawn. Photo Ops will be in front of Courthouse lawn with a red truck and tractor.